When a competitor makes an identical copy of your product, but sells the copy-cat product under a different brand name, do you have any recourse? What if your product and the competitor's product are so close they look as if they came from the same mold? Is that enough to sue? Unless you have a utility patent, or some of the copied portions are artistic or ornamental, the answer is almost always no. In the United States, utility patents are the only way to protect functional elements of a product. Over the years, litigants have made many attempts to protect product engineering with something other than a utility patent with very little success. Often, when a competitor duplicates a product there is no patent claim (because a patent was never granted), no trademark claim (because the product is sold under a different brand), and no copyright claim (because nothing artistic was copied). Often the only possible intellectual property claim left is "trade dress" which refers to the visual appearance of a product or its packaging that signals to consumers the product's source. But not just any visual appearances are entitled to trade dress protection. Only non-functional visual appearances count. This means something artistic or arbitrary in a product's design or packaging. In Secalt S.A. v. Wuxi Shenxi Construction ___ F.3d ___ (9th Cir. 2012), one of the Plaintiffs, Tractel, Inc., manufactures and sells the Tirak traction hoist pictured below. 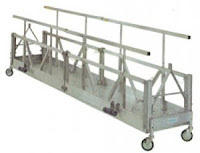 These type of traction hoists typically raise and lower swing stage scaffolding platforms on large buildings like this one sold by Tractel. During a tradeshow in Las Vegas, Tractel saw a Chinese competitor, Jiangsu Shenxi Construction Machinery Co. ("Jiangsu") exhibiting a competing product that looked strikingly similar to Tractel's product. Tractel sued the Chinese competitor in the District of Nevada alleging trade dress infringement. When discovery closed, both parties moved for summary judgment. The presiding district judge, James C. Mahan, ruled in favor of the Defendants. Judge Mahan found there was no trade dress infringement as all of the claimed "trade dress" served a functional purpose. Tractel's hoist is . . . a utilitarian machine with no indication that the visual appearance of its rectangular exterior design is anything more than the result of a simple amalgamation of functional component parts. Absent are any indicia of arbitrary or fanciful design. "To uphold a finding of infringement here . . . would suggest that the general appearance of almost any unpatented product rarely if ever could be copied faithfully. That is not the law." Leatherman, 199 F.3d at 1011. 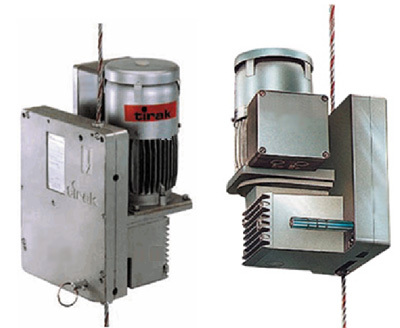 The form of Tractel's hoist follows its function, making the hoist a classic example of "de jure" functionality. We affirm the district court’s determination that Tractel did not present evidence sufficient to create a triable issue as to the nonfunctionality of its claimed trade dress. Tractel attempted to argue that the overall exterior appearance of its product was non-functional due to its "cubist" and "modern" look and feel. The Ninth Circuit rejected these arguments. In fact, the court found Plaintiff's arguments to be nothing more than semantic trickery. It is not enough to say that the design portrays a "cubist" feel—so does a square table supported by four legs. The fins may be attractive but they serve a functional purpose. And the cube-shaped gear box is simply housing. Except for conclusory, self-serving statements, Tractel provides no other evidence of fanciful design or arbitrariness; instead, here, "the whole is nothing other than the assemblage of functional parts, and where even the arrangement and combination of the parts is designed to result in superior performance, it is semantic trickery to say that there is still some sort of separate 'overall appearance' which is non-functional." What Tractel really lacked in this litigation was evidence that any of its customers viewed the design of Tractel’s hoists as non-function or a source identifier. The Ninth-Circuit noted that one of Tractel’s customers testified that everything about the hoist design is functional. [T]he entire design is predicated on function from what I've seen, and again as with most hoist manufacturers, every element on there is critical to the design otherwise they wouldn’t waste the money or the weight which again comes back to the weight is the key component. So in my opinion every element on there is important to the function. The Ninth Circuit found that Tractel's other witnesses were just as unpersuasive. From its own witnesses, Tractel at best offered either unsupported or conclusory claims about the design. Fatal to its claim was the testimony of its own witnesses who honestly laid out the functional nature of the design. Lacking was any evidence, like engineering notebooks or testimony from the designers, about design or aesthetics. Even more devastating was the testimony of third-party witnesses called by Tractel who laid bare the claim of nonfunctionality. For example, they testified that the fins play an important function of dissipating heat and are not for aesthetics. 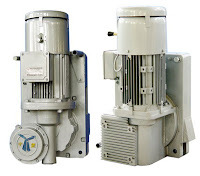 Likewise, the shape of the hoist is practical because it fits in confined construction sites and it is "more efficient and more compact" than some of the other hoists on the market. Trade dress protection claims -- especially unregistered trade dress protection claims -- are notoriously difficult to prove. And, as the Ninth Circuit held here, impossible to prove without evidence that the design elements are non-functional. Mark Borghese is a Las Vegas entertainment law attorney with the law firm of Borghese Legal, Ltd.